Olly Goodwin, Olly MFG! OG! All these things, from the deepest darkest South West he crawls into the North, destroys hills and then disappears into the ether not to be seen until the next race. Now that the industry as a whole has started to not be able to support pro teams, it's amazing how much talent we can get for so little. Take Joe Baldwin for example, a pure thoroughbred washup, ours for only a smile. Riptide Bushings - 90a barrels up front, 90a barrel road, 92 fatcone boardside in the back. Aaron Skippings, Señor Greeppings, yolo swaggins, Azzy. Many names, but the only thing that matters is that he's currently the fastest recorded British skater under 150lbs. Handy on a skateboard, but somehow always placing higher in luge. 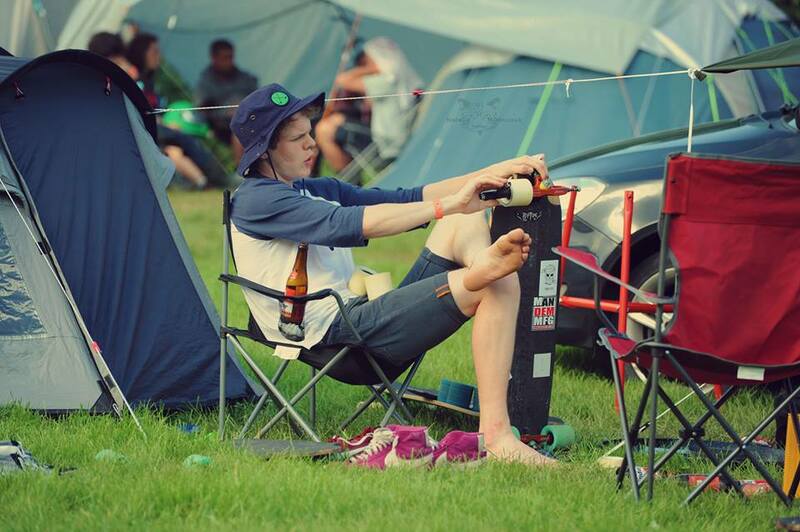 Official Boardlogic Scallywag, Ben's an up and coming young ripper that skates everything! Bowl, Slalom, DH and freeride with an excellent illustration style to go with. Oli, or to give him his full title, "Former UK Number One Downhill Skateboarding Champion Oliver Slaughter", has been with Boardlogic since almost day one, a small heartbreaking hiatus spirit questing not withstanding. We're thrilled to have him back. Oli's solid and lengthy skate background paired with ecological know how and formal training helps us to put out products utilising updated bio resins, natural fibres and improves our manufacturing processes! Whatever else he can get for free off his mates. Dan runs the shop. One way or another every Boardlogic product or job gets inspected, signed off and shipped by him. The youngest on the team and subsequently still studying. Town drunk, cycling enthusiast and generally a lovely human.